Price: $469.00 (regularly $559.00) 16% Off! From your Las Vegas hotel, embark on an adventure that encompasses both natural beauty and historical significance. Your tour starts when we pick you up and transport you to the airport. 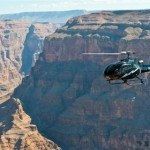 Here, you’ll board a helicopter for a flight to the Grand Canyon’s West Rim. On the way, listen to an educational narration about the historical and desert sights on the ground. After you marvel at the natural wonder of the Grand Canyon from the air, travel on to Eldorado Canyon and disembark for a fully guided tour. Miners from near and far descended on this area during Nevada’s biggest mining boom, and you will learn more about their life, work and history during a guided tour of the Techatticup Gold Mine and Mill. 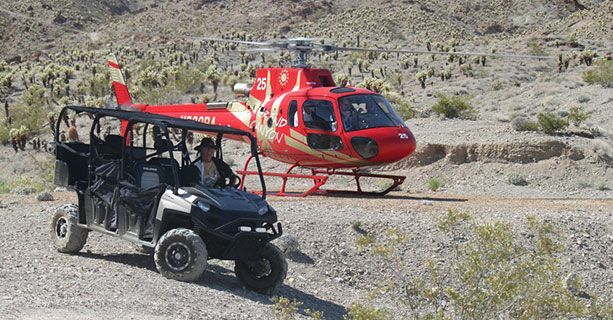 In addition to learning about the site’s historical significance, jump on a horse, Baja Jeep, ATV, kayak or paddleboard and tour the beautiful desert nearby. Enjoy a boxed lunch and champagne toast in Eldorado Canyon before heading back to Las Vegas. We transport you to your hotel and thank you for spending an adventure-filled day with us in the beautiful and historic Grand Canyon and Eldorado Canyon.